A very important issue is the correct fitting of the sprocket retainer (termed “fixing plate” by Honda). The OEM sprocket and retainer both got off-center drill holes so that fitting the retainer is only possible in the correct position with the teeth fully overlappung. However, some aftermarket (e.g. JTF280) sprockets got center drill holes. If the fixing plate is mounted the right way with the teeth fully overlapping (right pic) this causes no further problems. 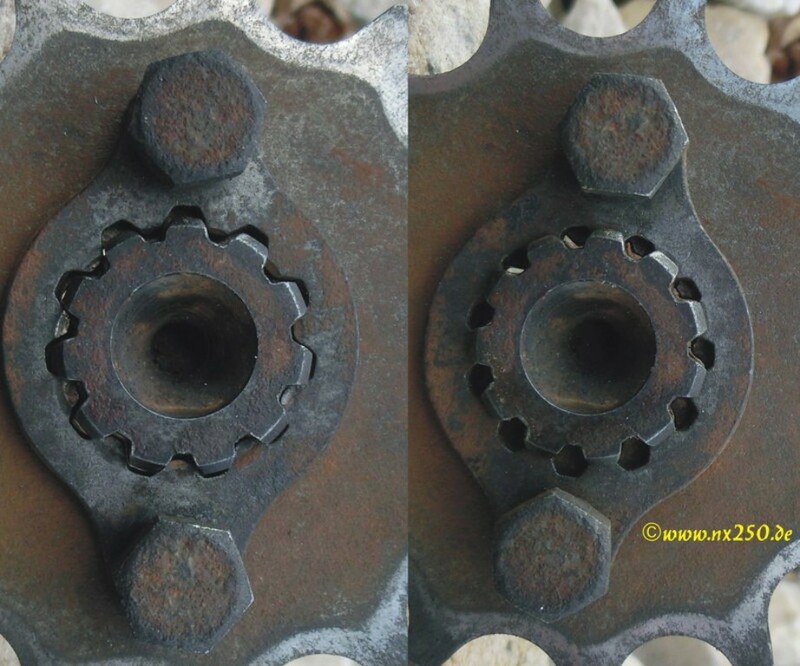 However, with the center hole sprockets it’s possible to mount the retainer so that only a few teeth are overlapping at the edge (left pic). That ultimately destroys the retainer and/or the driveshaft. 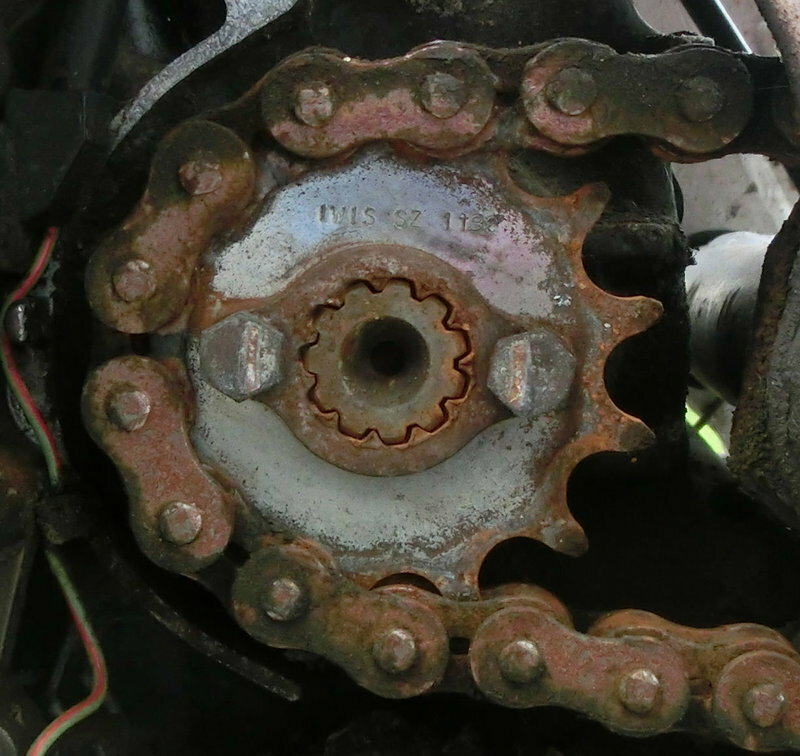 In some cases the sprocket sheared off the driveshaft, causing accidents. 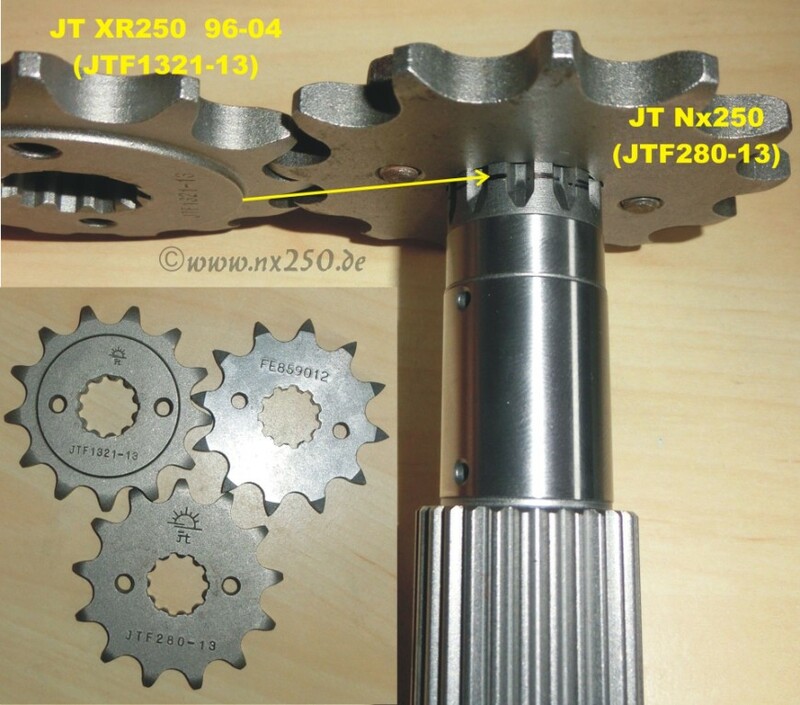 The most common sprocket offered at eBay is the center JTF280. Luckily, the sprockets from the 96-04 XR250 will fit (it was also adapted for the new CRF250L). 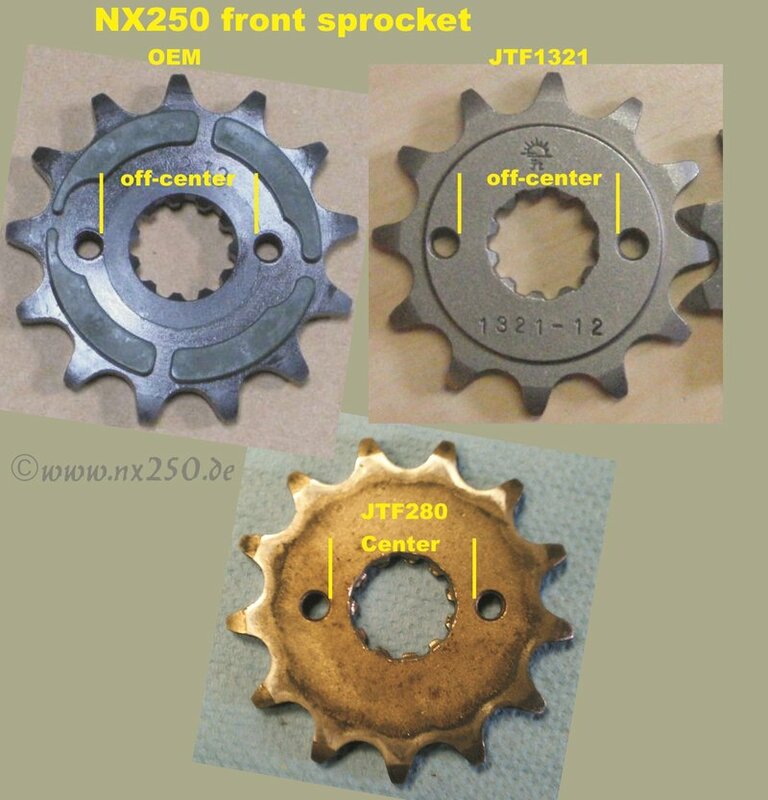 In the newest JT online catalogue http://www.jtsprockets.com/catalogue/sprocket/JTF1321 these sprockets are now also listed for the NX250 – but there must be a zillion of the old sprockets, because I’ve never seen the new ones offered for the NX250. There is another advantage of the XR250/CRF250 sprocket – it has a flange (flange must point towards the engine), expecting less wear of the driveshaft. The vertical play of the sprocket is also reduced (even though a bit of play is normal, even with a new driveshaft/OEM sprocket). 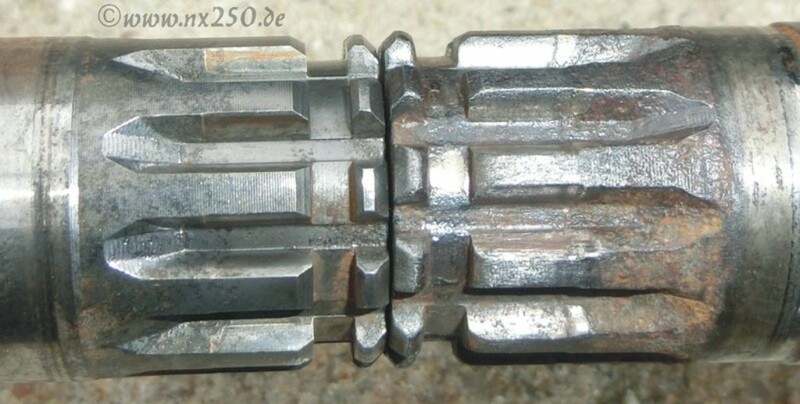 Not that the NX shaft is especially prone to much wear – the shaft to the right is the one from my Nixie after 105.000km and would have been good for a couple of 10.000km more.